In 1963, to celebrate the states centennial. West Virginia held the first Mountain State Art and Craft Fair at Cedar Lakes and it was a huge success. The spirit endured and was to have a lasting inpact on the states arts and craft movement. 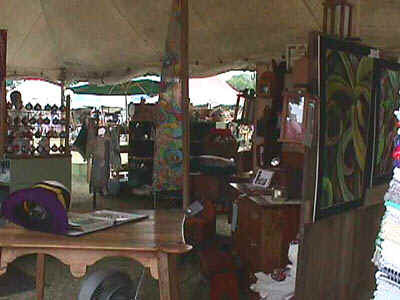 It was there that the exhibitors formed a guild to promote and upgrade the native arts and crafts. 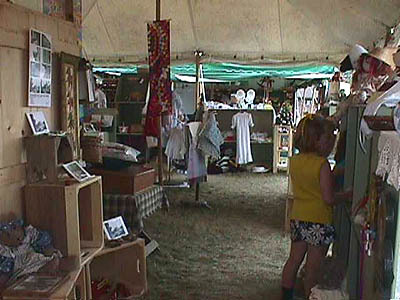 The West Virginia Artists and Craftsmens Guild was chartered in September, 1963. To advise craftsmen and assist them in selling their products. To sponsor and promote those events which will focus attention and give prestige to the artists and craftspeople in the state. To undertake activities which will serve the best interests of artists and craftspeople. This corporation is organized and shall operate exclusively within the meaning of the Federal Internal Revenue Code. Initially, the WV Dept. of Commerce took a very strong interest in the guild and provided the guild with an Executive Secretary-Treasurer, Don Page, together with office facilities in the State Capital Building. After about 10 years, the Guild became an independent organization. During the late 1970s, the Art and Craft Guild had grown to nearly 500 members. Many were selling their work in a shop and gallery space in downtown Charleston. The busiest time for the guild was 1983-1987 when we operated a shop in the newly built indoor Town Center Mall in Charleston. Buoyed by this success and the need to move out of the available mall space, the guild undertook renovating a downtown space for shop and office. The financial strain was too great and it was discontinued. The guild has chosen to remain a not-for-profit, all-volunteer, statewide organization of artists and craftspeople and anyone who is interested in the arts and crafts in West Virginia. 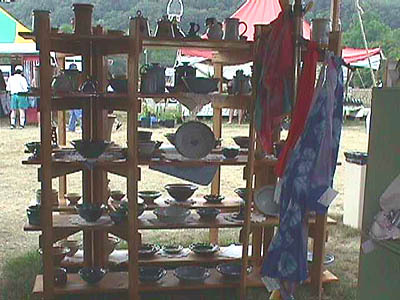 Through education, directories, exhibitions, new friendships and the marketing at and sponsorship of The Mountain State Art and Craft Fair, the Guild works to achieve the goal of preserving and promoting the creative lifestyle in West Virginia and a standard of excellence for the creations.